Paladin Blake is one of the best-known protectors of the skyways. 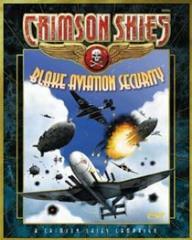 This Crimson Skies campaign follows the exploits of his famous air security firm as they identify, track and eliminate those who are foolhardy enough to prey on his clients. Detailed background material on Blake and some of his more notorious adversaries is also included.